One irony with the Openreach FTTP roll-out to date has been the need to retain a copper telephone line for voice services. 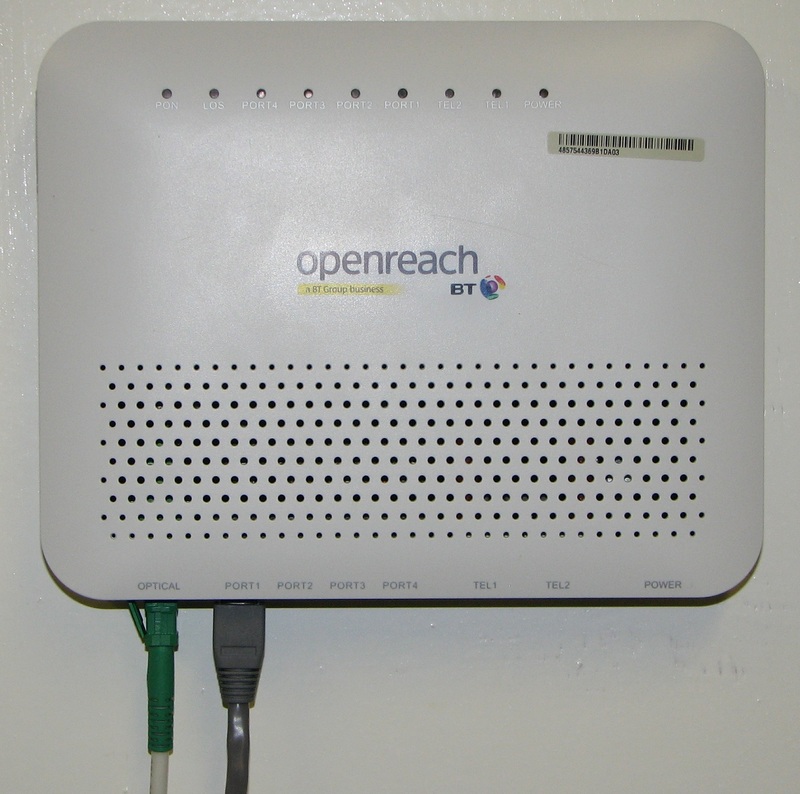 With the launch of Fibre Voice Access, those areas where Openreach Fibre to the Premises (FTTP) is available now have the option of connecting two lines to the Optical Network Termination (ONT - the white fibre termination unit). No special phone is required, a standard analogue handset will suffice and the call quality over the Openreach segment matches the existing PSTN standards. The Openreach factsheet provides some more information for those curious how it will all fit together, and lets us know that a battery back-up solution is being developed to meet power outage requirements. For the first few months of the roll-out an introductory means that the FVA-FTTP will be provided with free connection and no rental charges between 1st March 2012 and 30th June 2012. The pricing that will apply at the end of the introductory offer is shown below. It will be possible to order the Fibre Voice Access product without a broadband service. As a standalone product it costs £183.48 per year, but when ordered with a broadband service this drops to £103.68. £103.68+VAT is not cheap for a phone line even when combined with broadband, particularly as old fashioned copper line rental pricing at the retail level can be found for around £96 a year including VAT. Plus the Openreach pricing excludes the operators costs in providing the SIP server. If both lines that the ONT support are included in the £103.68, then pricing is more reasonable, and exploits the ability of fibre to deliver multiple services without impacting on the broadband service. For those where FTTC (Fibre to the Cabinet) is available, Fibre Voice Access is not available at this time. There are indications from Openreach that at some future date FVA access may be available to FTTC customers. So what advantages are there with this service as opposed to sip/voip? Andrew, The £103.68+ Vat is exactly what Openreach sell a WLR line for today. Any Retail price below this using BT network is sold as a loss leader. This looks like an attempt to keep voice the same on old and new platform. That makes sense. It would be a footgun moment if they announced that voice-over-fibre was a more expensive, exclusive, commodity, and next day announced that fibre-on-demand was now a reality for the masses. 50p a month from 2mbit to 10mbit upload, sky and plusnet been tight. So does this mean that it's going to be possible to have a broadband service without any sort of existing phone line (either an existing copper line or new voice line over fibre)? you can have broadband only on BT Greenfield FTTP already, this makes it more widely available if you can get brownfield / overlay FTTP and mirrors the situation with Virgin Cable.